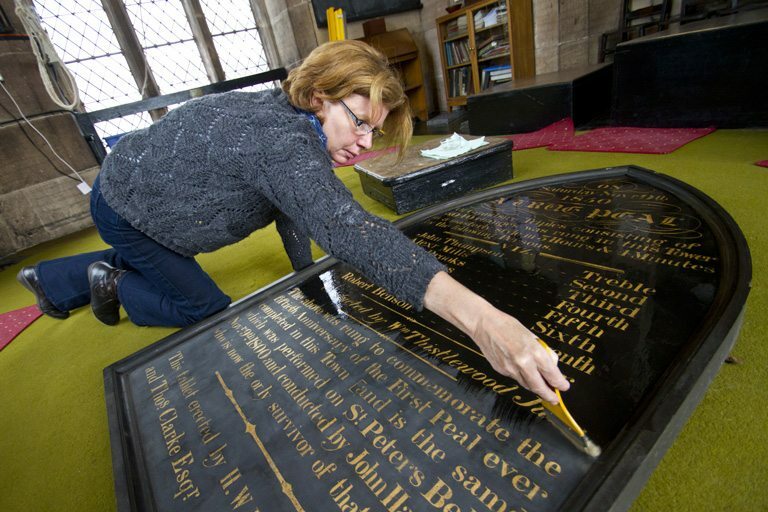 Over the last few weeks, I have been documenting the conservation of a commemorative Peal Board at the Church of Our Lady and Saint Nicholas on the Pier Head in Liverpool. 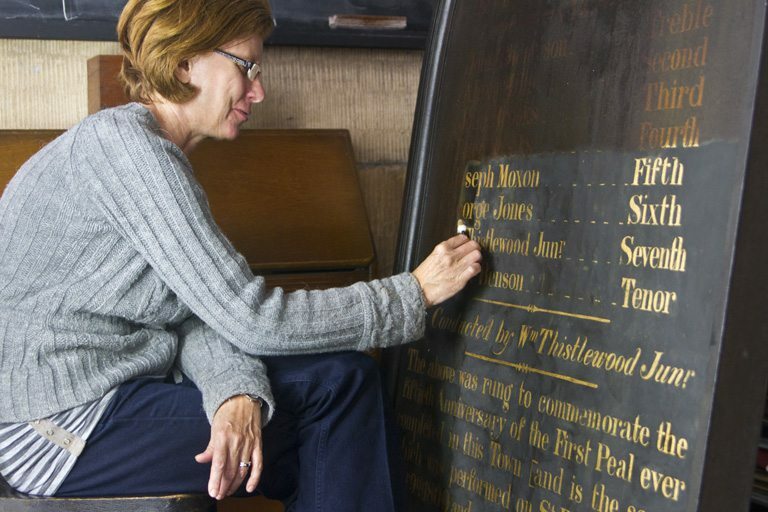 The 19th century board records the details of a peal that was rung on the bells on November 9th, 1850. 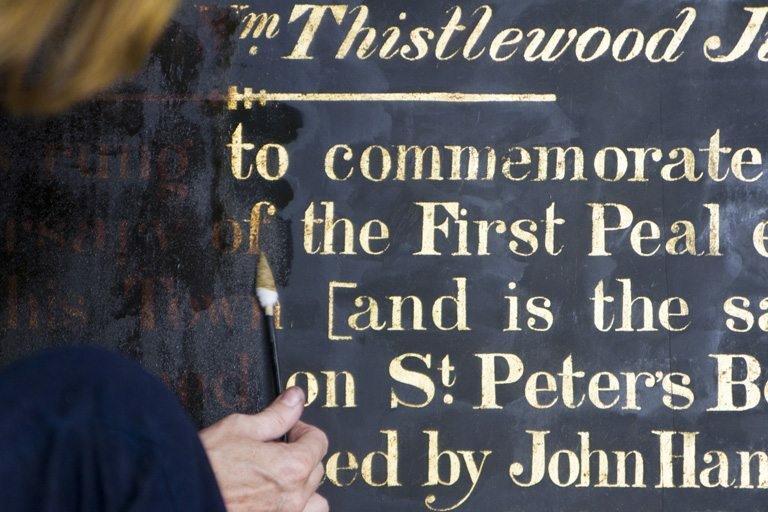 It is the oldest Peal Board in the city and unfortunately, over the last 162 years, the board’s visual appearance had deteriorated to the point were it was unreadable, due to the accumulation of grime and the yellowing of the varnish. 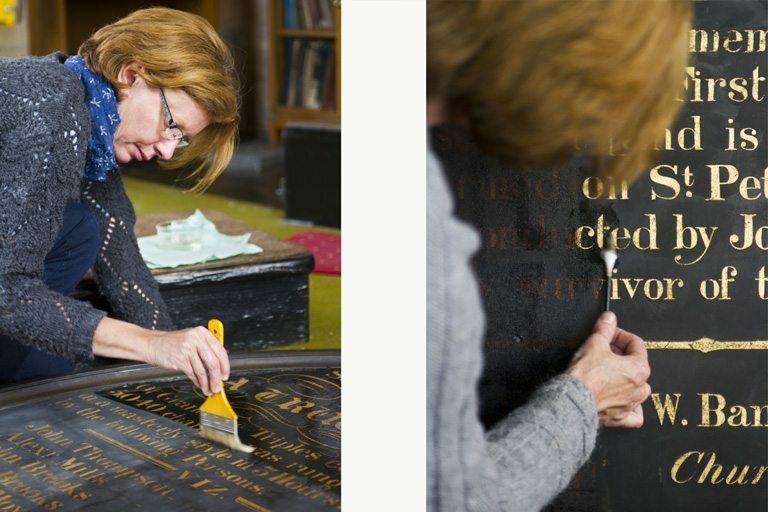 Local fine art conservator, Vanessa Andrew, was commissioned to return the board to it’s former glory. The picture above shows Vanessa close to completing the work and below, you can see more photographs of the work in progress.